DA Buzzing has been buzzing about the singer David Archuleta since 2008 just after he became the runner-up on American Idol until the singer left for Chile in 2012. Today this website is an archive of all the articles, videos, audios, and photographs our Honeybees have contributed. All comments have been disabled. Please use the contact form if you wish to connect. We hope you enjoy DA Blog for a long time to come. Welcome to the David Archuleta Honeybee blog. We BUZZ for David! Did you know that the honeybee is the State Insect of Utah? The honeybees there dance to the honey-toned voice of David Archuleta. Haha! We fans of David do the same here on DA Buzzing. If you ever visit Utah, you’ll see honeybee and beehive icons and images everywhere. The State Capitol in Salt Lake City has two giant beehive sculptures signifying “Industry,” the State motto. On Hey! Nielsen, I formed the Honeybee Group to organize the many David Archuleta fans on the social network-market research site. Nearly 500 David Archuleta fans joined Hey! Nielsen to write daily opinions and comments about their favorite topic. Our dedicated participation kept David Number 1 in the Music category for many months. Even before the “American Idol” show ended, David was #1. DA Buzzing was created for Honeybees. Alas, Hey! Nielsen is no more. The Nielsen Company is planning to bring H!N back as a “consumer site” in 2009. What will the more than 175,000 members do now? 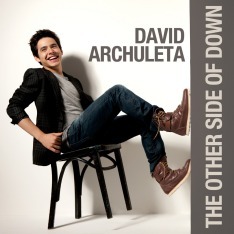 We David Archuleta fans enjoy an abundance of choices among fan sites and David’s official Internet sites. DA Buzzing is another unique choice. We hope our site will fill the gap left by the departure of Hey! Nielsen whose powerful software allowed members to rank and comment on various TV shows, movies, music artists, games and even commercials. We may never know what Nielsen does with all the data it collected, but we now have more control over the message and the medium, if not the madness, of David Archuleta “BUZZness”. We enjoy expressing our knowledge, thoughts, and emotions about David and his music. David’s fans all over the world can come here to learn about him, his music, and the interest he generates. If we think what he would do, we will create a friendly, lively, and civil discussion. Our aim here is to provide information and to express our thoughts and emotions about David. Please read DA Rules for help and tips on managing your membership. We Honeybees are all about the BUZZ. And BUZZ is a good thing. In today’s media, news is generated in many ways. Often it’s a public relations agency that starts a news story and it spreads like wildfire whether or not it is true or important. Recently I read that Stephen King* explained the big difference between news that is BUZZ and news that is HYPE. Here’s the gist of what he said. HYPE is always false, often unreliable, loudly shouted in the media, often paid for. Think of TV commercials, P.R. ads, billboards. BUZZ is always true, believable, quietly spread by word of mouth, never paid for. I’m thinking of Honeybees! King also says that to be successful, the BUZZ must be about something that is GOOD. And we Honeybees know just how GOOD David Archuleta is! Vocally, as well as personally. Let’s all take pride in our BUZZiwork here. We are spreading the good news about David and his beautiful gift of music.